Coach Gernot Rohr is likely try out a 3-5-2 formation when the Super Eagles face South American giants, Argentina in Tuesday’s friendly at the Krasnodar Stadium. A source at the Eagles’ base in Russia told Complete Sports that Rohr is expected to deploy Nantes defender Chidozie Awaziem in a three-man central defence alongside Leon Balogun and William Troost Ekong. Also Chippa United’s goalie, Daniel Akpeyi has been drafted into the team after missing the last four games, with the pair of Ola Aina and Shehu Abdulahi playing as wing-backs. Captain John Mikel Obi has also return to the starting line-up after he was rested for the inconsequential World Cup qualifier against Algeria in Constantine last Friday. John Ogu will partner Mikel and Wilfred Ndidi in midfield. Arsenal’s Alex Iwobi and Leicester City’s Kelechi Iheanacho are expected to pair in attack barring any last minute change. 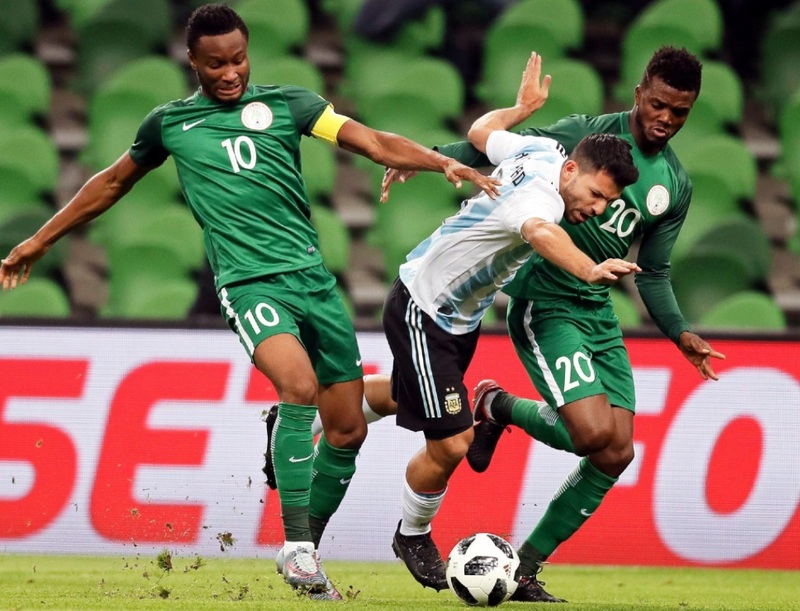 In seven senior meetings with Argentina, Nigeria has been able to win just one game.